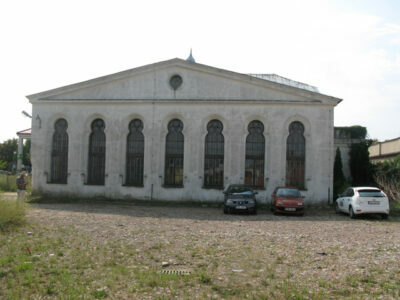 The Jewish Standard also published numerous studies that Eisen conducted over the years into aspects of Toronto’s early Jewish community. 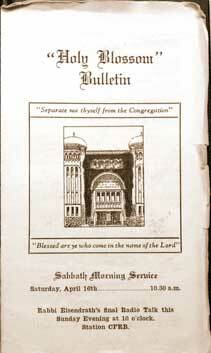 In 1965, Eisen became the chief archivist for the Holy Blossom Temple and, thereafter, the synagogue’s biweekly bulletin often carried delightful little historical pearls from him. 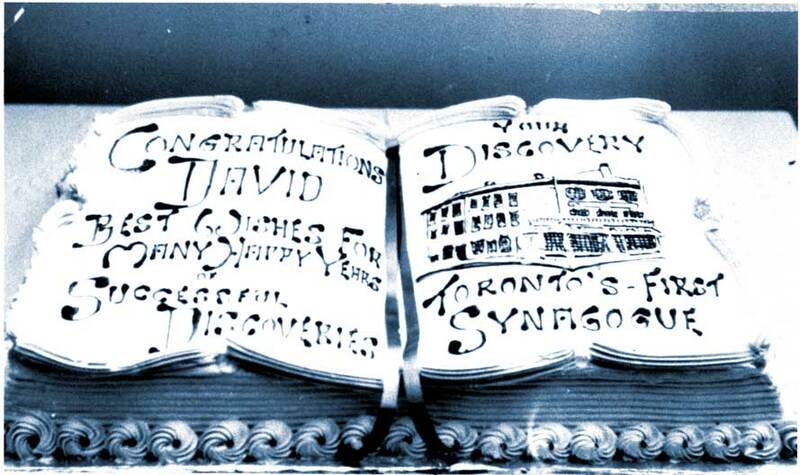 “Toronto’s First Dentists” is the title of an article he contributed to the Jewish-Canadian dental fraternity’s Alpha Omega Review in 1967, and a researcher more thorough than I could probably uncover his name in a multitude of other publications. 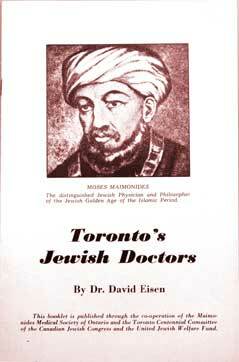 Thus, while occupied with a busy medical career, he established a solid reputation as a historian of Toronto’s Jewish community. 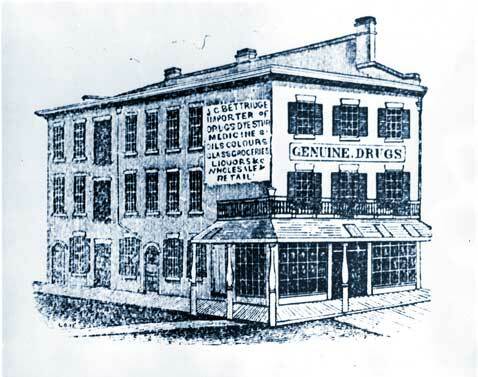 A room above Coomb's Drugstore served as Toronto's first synagogue, c1856-1875. 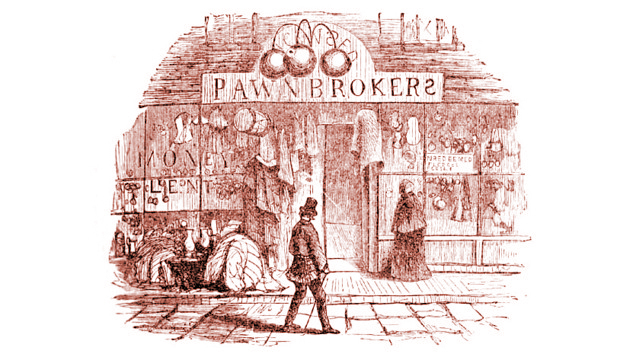 Eisen found the illustration..
Eisen published many important professional papers as well. In July 1925, the American Journal of the Medical Sciences carried “Malignant Tumors of the Thyroid,” the first of several articles by him to be featured in its pages. Others appeared in The American Journal of Surgery, Radiology, and the Canadian Medical Association Journal. It was in the latter publication that his unusual and quite fascinating monograph, “An Account of An Epidemic In Palestine in 1040 BC” appeared in 1948. In this two-page study, he combined his medical training with his professed affinity for history to discuss the etiology of a plague that may have ravaged the region between Jaffa and the Egyptian border at the time of the biblical King Samuel. Discussing the vile contagion that had possessed the Philistines when the Hebrews had recaptured the Holy Ark from them through battle, Eisen — citing sources as diverse and monumental as Castiglione’s “History of Medicine,” Frazer’s “Golden Bough” and Josephus’s “Antiquities of the Jews” — presents a startlingly original hypothesis. 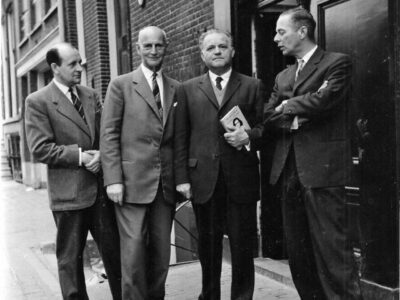 IN THE PREFACE to his book, The Jews of Toronto: A History to 1937, which was published in 1979, Dr. Stephen Speisman called Eisen the “dean of the historians of Jewish Toronto.” Now (ca 1990) archivist for the Canadian Jewish Congress (CJC), Ontario Region, Speisman seemed pleased when I told him I was writing this article, commenting that it was about time Dr. Eisen got the recognition he deserved. “He laid the foundation for a great deal of the history of our community that would be written later on,” Speisman said. It was those professional standards, perhaps, that readily convinced Kayfetz and the CJC to publish Eisen’s diary in the mid-1970s when a government grant became available to defray costs. 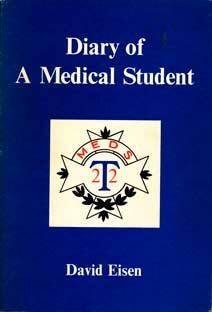 Unmindful of posterity, Eisen had kept the diary between 1917 and 1922 as a personal record of his years at medical school. Half a century later, he felt, correctly, that it had worth as a social rather than a personal document, illuminative of Toronto’s Jewish community in the early decades of this century. Kayfetz recalls that the book received favourable attention upon its publication in 1976, exactly fifty years after its author embarked upon the practice of his specialty. “It’s a very valuable book,” he comments. “He talks about the flu epidemic of 1918 and how he accompanied certain doctors on their rounds. He describes how after certain elections, the results were shown on a big screen in front of the building of the Hebrew Journal, a Yiddish daily that was then on Elizabeth Street . . . . It gives many immediate impressions of a young man at that time, uncoloured by later developments and happenings. 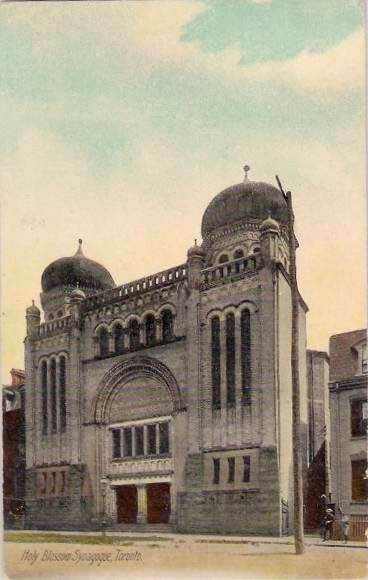 In its introduction, Eisen recalls that he attended four public schools including the Victoria Street School, of which he writes: “My main memory of this school was that from the schoolyard I could see the twin cupolated towers of the Bond Street Synagogue, one block to the east.” Through his life, the direction of his gaze, metaphysically and metaphorically speaking, never varied. Despite a hectic schedule attending classes in which he may have been called upon to dissect a rabbit or hear a professor expound on Mammalian Anatomy, he joined in a wide range of Judaic activities involving such early Jewish institutions as the Toronto Hebrew Students Association, the Menorah Society, and the Zionist Institute. Many entries in Dr. Eisen’s diary illuminate a community developing its own personality and character. Perhaps the most interesting entries are those about a city grappling with a flu epidemic that claimed 58 people in one day and closed down every dance hall and movie theatre; about the predawn firecrackers and bonfires on downtown streets upon news of the Armistice; and about Jewish life, glimpsed in passing but telling detail, at a time when a youthful Zionist movement was sparking a global Jewish spiritual and nationalistic revival. THE FEW PERSONAL DETAILS allowed to stand are poignant. April 2, 1919: “After two years of illness, poor father died at 2.40 a.m. on April 1 . . . . It must have been a great suffering that would cause father, who normally was of a rather choleric disposition, to become, near the end, so patient, meek and gentle.” And of course, by the time the journal ends, Eisen had not yet met my father’s first cousin, Vera Alexander, a fourth-year student at University College whom he encountered at a dance in 1929 and married the following year — “the most important step in my life,” he reports in the epilogue. Likewise, the diary throws little light on his years at Mount Sinai, which had only 35 beds when he started working there alongside L.J. 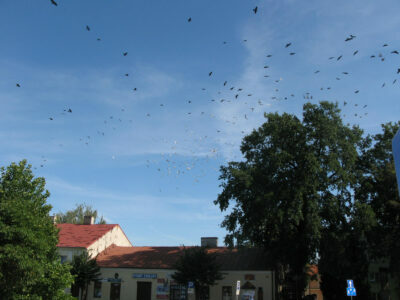 Solway, A.I. Willinsky, L.J. 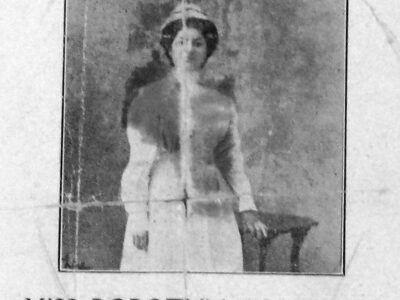 Breslin and other Jewish medics whose names are still widely known in the community. 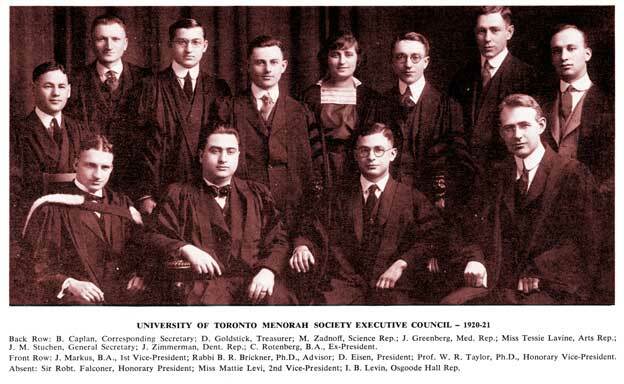 Eisen became president of the Toronto Jewish Medical Association, its staff organization, in 1929. An anecdote in the epilogue of his diary suggests something of what it must have been like to be a radiologist at a time when scheduling a chest x-ray of the lungs generally signified to a patient that his doctor suspected some serious disease. In 1977, the doctor’s daughter Barbara and grandson Michael Organ, then two years shy of bar-mitzvah age, interviewed him for about ninety minutes about his early memories and experiences. The tapes indicate someone with an eye for empirical detail, methodical in thought and speech, who never lost the rigorous scholastic habits drilled into him by an Edwardian public school education. In these tapes, Eisen divulges that he had written a series of exams to compete for one of five lucrative scholarships in history from McMaster University, which was then located in Toronto. He won the first scholarship — tuition and money for books and other living expenses for four years — but declined it on his brother’s advice and went into medicine “at the last minute.” Fortunately for Toronto’s Jewish community, however, he never turned his back on history. BY THE TIME I became acutely interested in my paternal grandmother’s Alexander family tree and simultaneously in Toronto’s Jewish community, the Alzheimer’s disease that eventually claimed Dr. Eisen was too far advanced to allow us to meet. 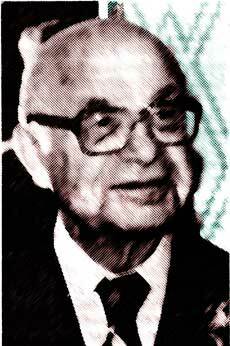 However, on a sunny winter afternoon in early 1987, I visited his wife, the eldest daughter of my great-uncle Harry Alexander, who had been a pioneer in the motion picture industry in Canada. Vera was also somewhat of a pioneer, having earned a degree in history and literature in the days when relatively few women had such aspirations. She was very generous with me, sharing both her photographic collection and her knowledge of the Alexander family. Despite her apparent fragility, she possessed a certain grace. She produced a plate of sugary cookies and wheeled in a sterling silver tea service, pouring tea into fine china cups as if it were still only 1947 or thereabouts. She spoke a great deal of her husband, boasted of his diary and his association with the Holy Blossom, showed me scrapbooks full of his published works. When I had to leave for an appointment, she seemed disappointed, and invited me to return. I was at the elevator before I realized that I had, most uncharacteristically, forgotten my overcoat. This article first appeared in The Jewish Standard (in two consecutive issues) in November 1990. © 2012 by Bill Gladstone.